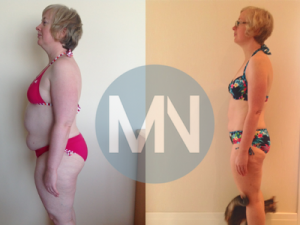 "I have lost 25kg and dropped 4 dress sizes! I truly believe I have changed my lifestyle for the long term and this is the new me. I now have the knowledge I need to succeed"
My role is office based, long hours including weekend working (checking & responding to e-mails from home). This along with my husband’s very busy role makes it difficult to schedule time to concentrate on us whether that is what we are eating or exercise. I have been based overseas for 5 years. The country is situated on the Asian-European boundary. Availability and food choices are limited compared with the UK or US. Fruit and vegetables are seasonal so choices in the winter months are limited. Also food shopping can literally take 1/2 a day as you need to go to 3 or 4 different shops scattered across the city to get everything you need, coming originally from the UK where I could get everything in one supermarket this was a real culture change. My biggest problem was motivation, finding the time to exercise when there is always an excuse why I am too busy, too tired. I also become bored and have felt restricted in my food options when dieting in the past and as a result fail after a few weeks. In my work life I am very organised and disciplined; I needed to create this discipline in my ‘health’ life. I believed the personal tailored service that I would receive from Mac-Nutrition would help me to find this discipline in my personal life. 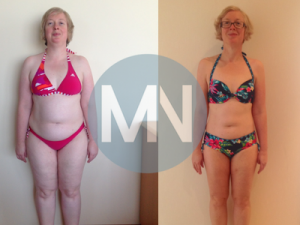 Another attraction for me of Mac-Nutrition was the sports based nutrition, although when starting this journey I wasn’t heavily into sports I wanted a scientific approach to my nutrition and not the latest diet fad. 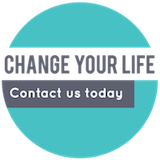 I wanted to make a lifestyle change and not a short lived miracle. As I am not based in the UK, consultations and advice was through Skype or e-mail. This worked well for me and I always found the team and my nutritionist very responsive. The service was exceptional, no complaints. I found my nutritionist excellent to work with, very easy to communicate with and knowledgeable. I always received positive reinforcement and never any criticism or judgement. Prior to any trips away from home for business or vacation, she would always make sure I had a plan. For holidays especially it meant I could enjoy myself and I didn’t feel I needed to count my calories every bite. I now believe I have a good understanding of balancing the macronutrients and good food swaps, for example choosing natural sources of carbohydrates. Also understanding why I may have gained weight at a particular time even though I thought I had been good with my food despite going off plan, for example more carbs at a weekend which results in the storage of glycogen in the muscles and an associated weight gain. 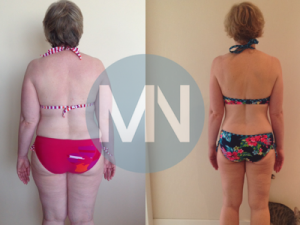 I have really enjoyed working with Mac Nutrition; everyone was extremely supportive and friendly. I always received positive reinforcement which meant a bad week I could just write off and get back on the plan towards my goal and to be honest I really didn’t have many bad weeks. I also never really felt I was on a diet, only the last few weeks did I start to need additional snacks. Lots of people have commented about how hard it must be but for me it wasn’t. When I make up my mind on something I have to do it, it’s the making up my mind that took me sometime! Having a personalised meal plan made it easier for me. Although I have to be honest it does take organising to plan/prepare the meals and for me not living in the UK this is probably harder, I am looking forward to buying a chicken breast that I don’t need to perform an autopsy on before I can use when we return home but I am an expert in deseeding a pomegranate now, a useful skill for someone who loves them! My gym personnel trainer admitted when she first met me she didn’t have much hope, she will now tell you I am one of her best clients and how wrong her first impression was – she didn’t know how I can be when I get an idea in my mind. I do know that the really hard work starts now, for me having a clear maintenance plan is key and to make sure I don’t slip into bad habits – I don’t think I will as I truly believe I have trained my brain to eat healthy. What really made the plan successful for me was it was tailored to my fussy food likes and what was available in country. In the past, plans have fallen down with the excuse ‘as I don’t like this I had to improvise on that meal’. As a colleague once told me in a work related situation, Success does not equal Failure with a good excuse. Also having an exit plan is key, I think this is more important than the diet and something I have never seen in previous diet plans. I also liked the 1 – 1 support and ability to drop Sarah an e-mail whenever I had a question or needed clarification. I have lost 25kg, which is more than my initial goal and dropped around 4 dress sizes. People tell me I look younger, although I just see the same face looking back in the mirror in the morning. I feel healthy and definitely fitter – I am probably fitter than I was even in my early 20’s. I always make time for training; I am also swimming and playing tennis. Instead of finding an excuse not to train I will now manage meeting times so I can train before the office or at lunchtime and best of all I don’t feel guilty about it. I feel guilty if I don’t train now! I feel positive about moving forwards and truly believe I have changed my lifestyle for the long term and this is the new me; I have the knowledge I need to succeed. What also helped me was support from my husband, friends and colleagues. There is nothing more inspiring than someone telling you look great. Finally a big thank you to Mac Nutrition, you have supported me to exceed my weight loss goal, I feel great – fit & healthy. I would highly recommend your services to anyone. "